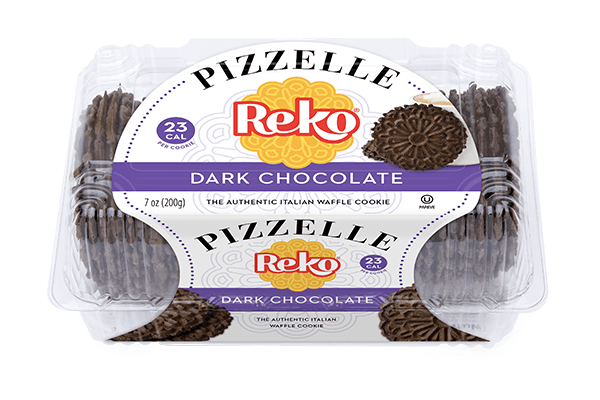 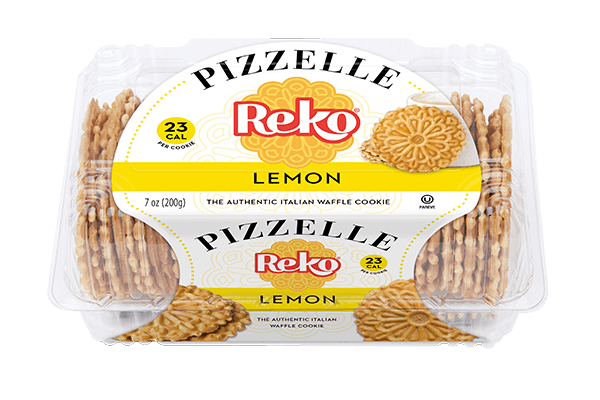 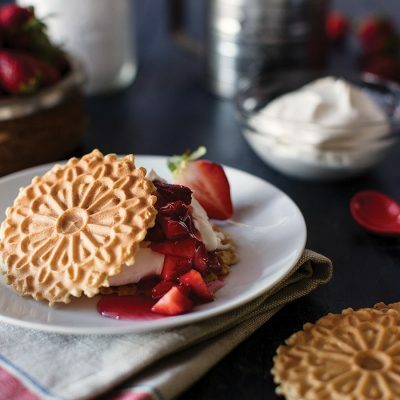 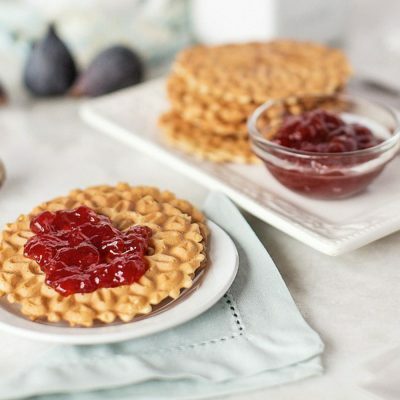 Our Banana Reko Pizzelle cookies are ever so sweet and a new addition to the Reko Pizzelle line up. 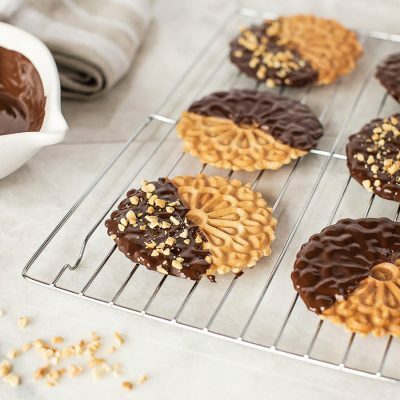 They are quickly turning into a crowd pleaser – think banana in a cookie format! Flour, Sugar, Liquid Whole Egg, Canola Oil, Banana Flavor, Soy Lecithin, Caramel Color, Baking Powder, Salt.